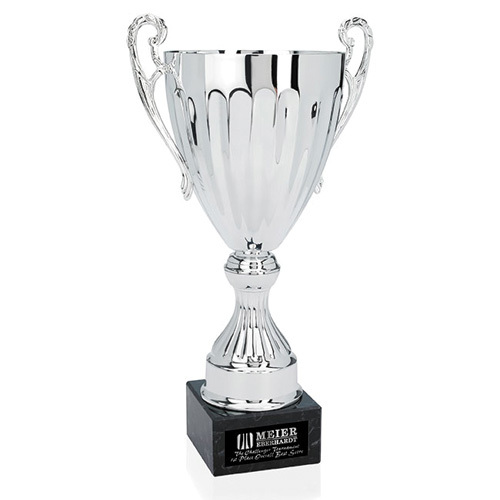 Cascading Trophy - 17" Stunning in gold or silver, this trophy is sure to please your number 1 player or team.Sits on a black marble base. 10"w x 17"h x 7"dia. Bulk / 28 lbs / 4 pcs.